1. INTEGRITY: There are things (people and businesses) that have recently proven they have it, have compromised it or flat out lack it. I’m equally proud, forgiving and disappointed. 2. EMBARRASSMENT: Epitomized by the Dallas Stars (Yeah, I’m talking hockey. Humor me. I’ll spare you from pro cycling rants). Up 4-0 against the L.A. Kings with eight minutes to go in the third period, Turco lets in six goals on seven shots and the team loses 6-5. Thank God I don’t own a TV. I would have busted it if I saw this game. Coach Tippett and GM Armstrong will be out on the street by the All-Star break. Of course, Dallasites don’t give a damn cause the 'Boys are back to winning games. 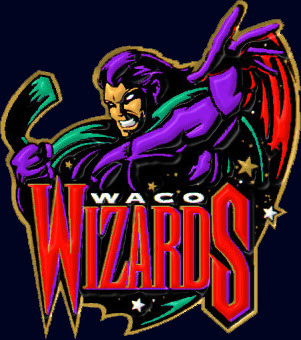 But I care, and I say bring back the Waco Wizards! So will the Wizards ever play the 'Hogs? Or is that a different division? Cause if they do, we are totally making bets. The Wizards used to play in the Western Professional Hockey League — both are waaaaay defunct. I'd love to see Waco land an AHL club. And, yes, the bets would be on. I'm there with ya, Margo.